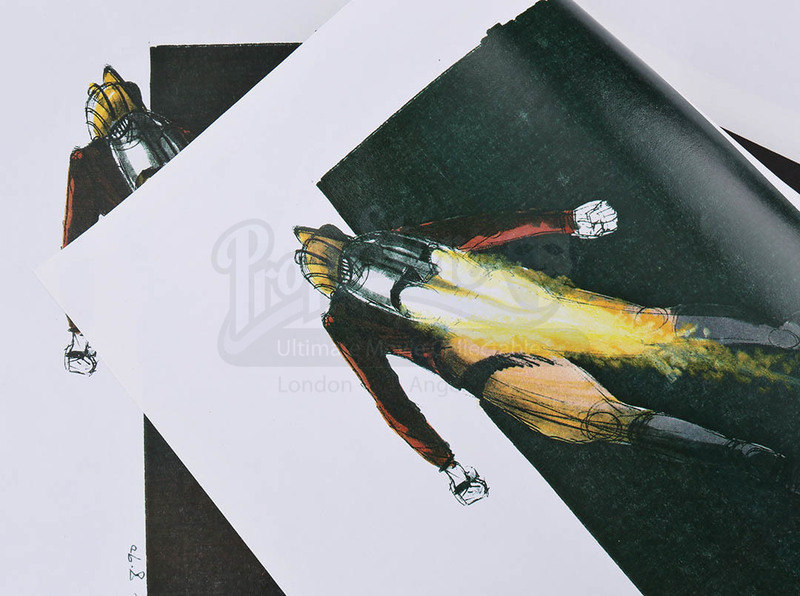 A stapled set of concept artwork copies made for Joe Johnston’s period superhero film The Rocketeer. 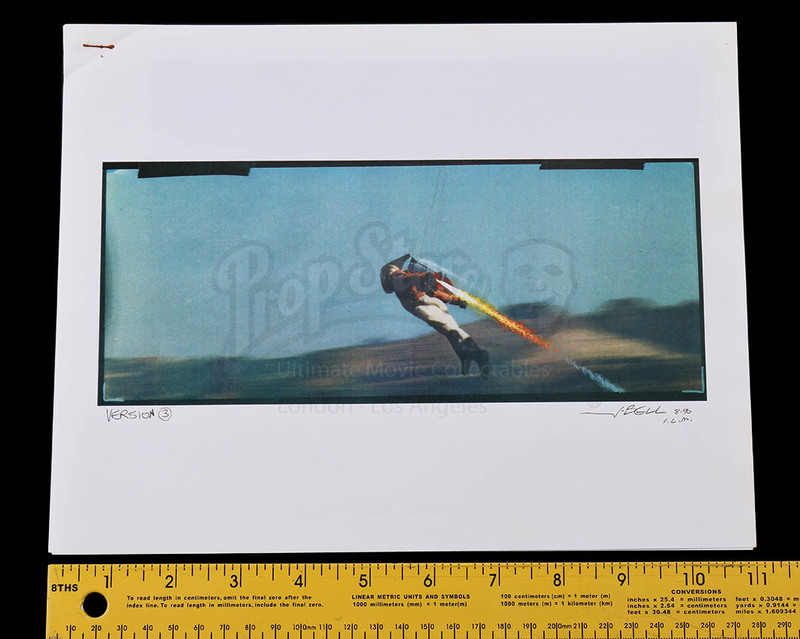 In the film, stunt pilot Cliff (Bill Campbell) uses a rocket powered jet pack in order to commit heroic deeds and attracts the attention of the FBI and Nazi spies. 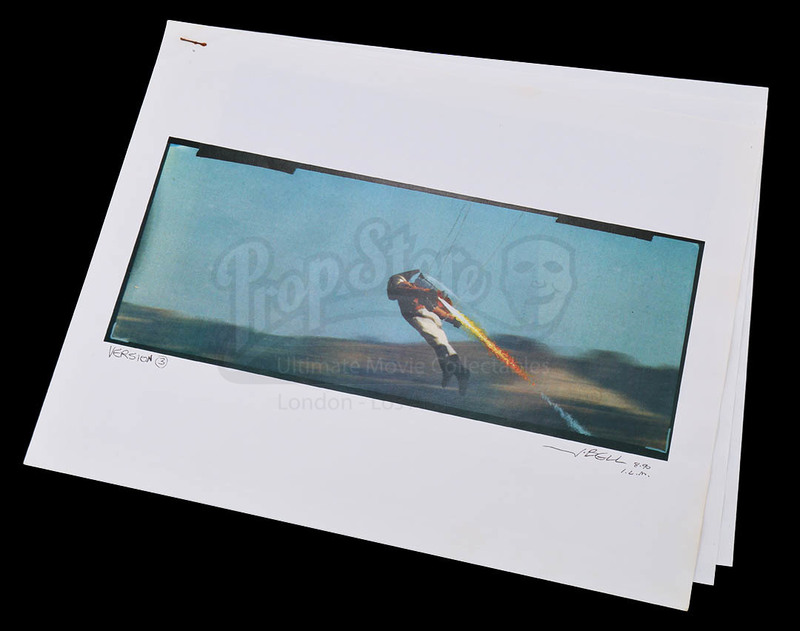 The four pages are copies of the art originally hand-drawn and colored by John Bell, who served as the visual effects art director at Industrial Light & Magic, and oversaw the studio’s work on the film. 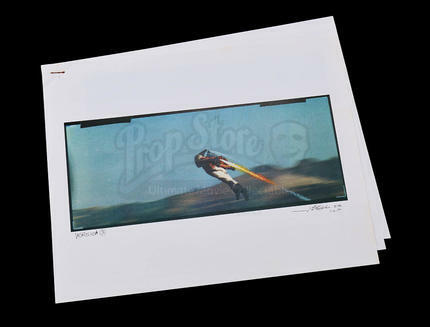 All pages depict Cliff and feature different variations of the jet pack flares. 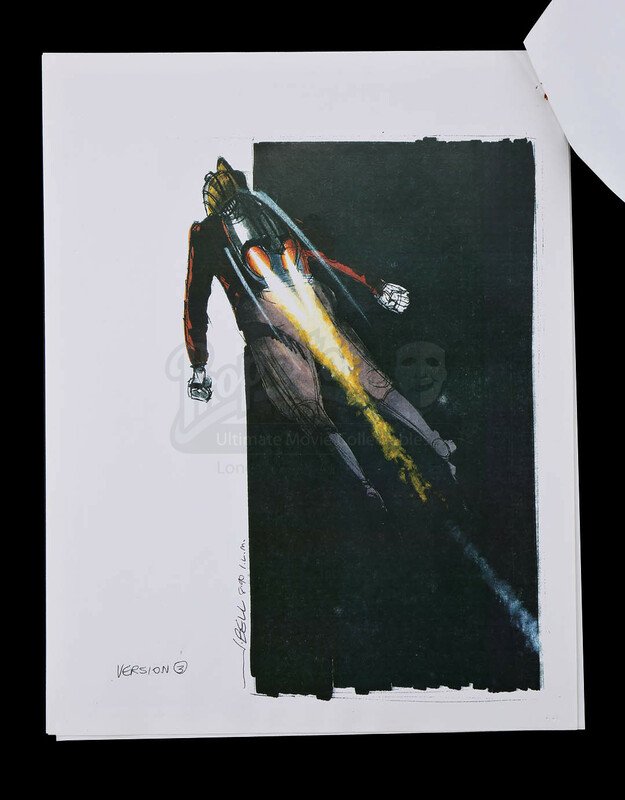 The packet consists of printed line work and are signed and dated by Bell, two of which being printed copies. 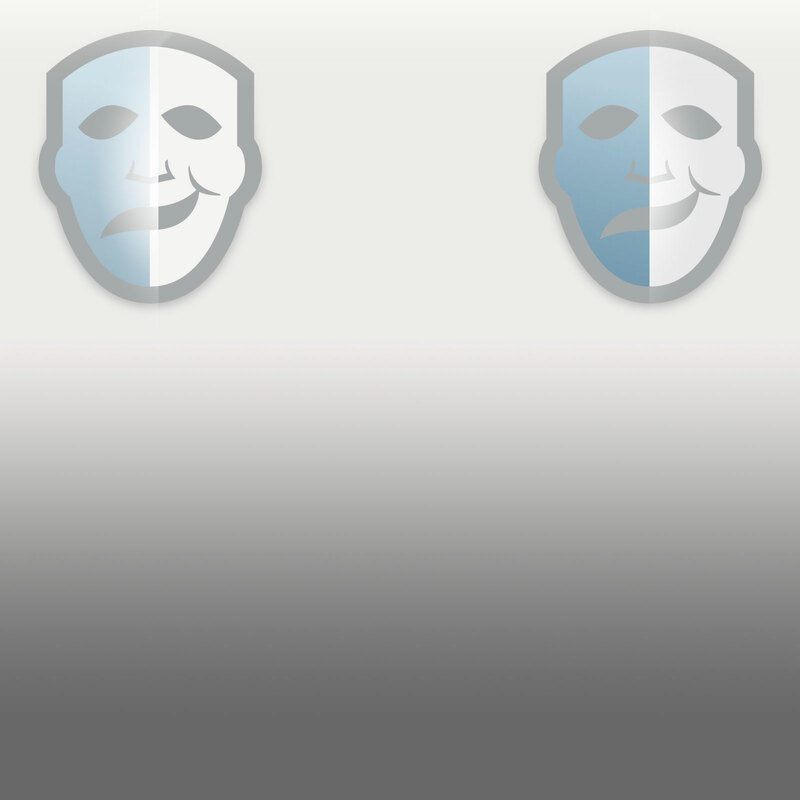 The set shows minor signs of wear from use, including pinholes at the corners, and is in very good overall condition.